This is part three of a four part series about pay requirements. In this series we are exploring the pay requirements of employers and what can happen if those requirements and regulations are not met. You can read part one here, part two here, and part three here. In the last three articles, we covered the specific details about the possible classifications and the different wage requirements of employees, as well as paycheck compliance. In this final article, we will go over the consequences for employers who are not classifying or paying employees correctly, whether intentionally or by mistake. What Happens if You Don’t Pay Your Employees Correctly? Judgement for the plaintiff is what happens! Are you prepared to pay fines and judgements for not following some simple rules? Employers are legally obligated to pay their employees in accordance with both state and federal laws. The Fair Labor Standards Act (FLSA) sets the federal guidelines for when and how employees should be paid and in addition, each state is free to expand upon those guidelines and place more regulations around employment. When paying employees, the employer must provide them with a wage statement that shows their gross and net wages, hours worked, deductions, pay rate(s) and more. If an employee notices something incorrect on their wage statement, they have the right to contact the state employment agency. This typically leads to an investigation done by the agency and if the employer is found to be noncompliant with labor standards, it can lead to, fines and penalties, a lawsuit or even loss of business license. 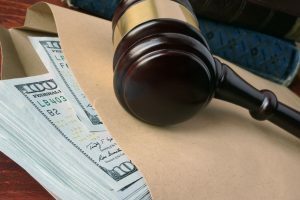 A recent report found that, since 2000, more than 500 large U.S. companies have paid out $8.8 billion in wage-theft claims settlements in a total of over 1,200 cases. Of those cases, more than half - a total of 676 - were from California. The report notes that while wage and hour litigation occurs more often in California than other states, there is no evidence that California employers are more likely to engage in wage theft. Rather, California has stronger regulations regarding wages, and allows workers to enforce each aspect of those wage and hour laws by going directly to court rather than asking government to enforce the laws on their behalf. Wells Fargo was one of the California employers involved in a recent wage theft case. Wells Fargo mortgage consultants and bankers alleged that the company was not properly paying employees for their rest periods. California law requires that employers give workers a 10-minute paid break for every four hours they're on the job. A federal judge agreed sided with Wells Fargo workers, and ordered Wells Fargo to pay $97.3 million in damages. Cases like the one above are all-too-common, especially for California employers. Settlements often include back-pay and other damages, and employers have to pay government fines and penalties on top of those. Recent court decisions have continued to increase the potential for even larger fines. The Private Attorneys General Act (PAGA), enacted in 2004, allows employees to sue their employer for even the most minor labor violations - even if they are not the affected party. The result can leave businesses with penalties and liabilities of over six figures, for violations that may not have even impacted employment. Overtime pay and missed rest or meal periods are the most common reasons for wage theft claims against employers. Non-exempt California employees are entitled to overtime pay of one-and-a-half times their regular pay rate for all hours worked in excess of 8 hours, up to and including 12 hours in any workday, and for the first 8 hours worked on the seventh consecutive day of work in a workweek. Workers in the state are also entitled to a 30-minute meal break for any shift of five hours or more, plus a 10 minute paid rest period for each four hours on the clock. For each workday that an employer fails to provide an employee their required meal period, the employee is owed one additional hour of pay at their regular pay rate. If a rest period is not given or is interrupted, the employee is owed one hour of pay. 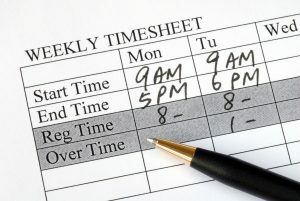 If an employee misses both a meal period and a rest period within the same work day, these are two separate violations which require two separate hours of pay. Each additional hour of pay is classified as a wage owed to the employee, giving them up to three years to claim unpaid wages. When there is any doubt about the specific requirements facing your business, it’s a good time to contact a professional. Utilizing a Professional Employer Organization (PEO) allows employers to have an expert in their corner that can navigate and minimize compliance risks on their behalf, freeing up time to focus on business growth instead.